3-way wiring - only replace 1 or both? I want to replace a conventional 3 way switch. Can I just replace the master and leave the slave alone or do I need to replace with a new set? This is in a staircase configuration where the bottom switch is next to my Smartthings (other side of wall) and the other switch is at the top of the stair case and around a corner (15ft away). Replace them both, but you’ll need two type of switches. The first one is the “Master” and the second is the “Slave” (also sold as an “add on” switch). The slave switch will be cheaper since it really doesn’t transmit, it just keeps sync with the master. You have to be careful to put the switches in the correct location. I believe the Master needs to be in the line side and the Slave needs to be on the load side of the circuit. I’d put this on the medium scale of electrical difficulty. Three/four way circuits can be a little confusing as they use an additional traveler wire. Wow, So fast replies. My gut feeling was right. Good thing I already purchased and switches were already on the way in. Weekend project it is. Kids and wife out of the house for the weekend so I can work in relatively peace and quiet. Medium difficulty is going to be a nice challenge. Better pick up some paint and Spackle (and fire extinguisher) . I went wtih Lutron Caseta for where I had two switches controlling an overhead light for example in my staircase. The set up was a breeze. I used 1 “true” switch and one of their Pico remotes with a plastic lutron cover plate behind the Pico (behind the switch cover plate). Yes, you do need the Caseta Hub …er … Bridge (Edit: thanks JD) but the default integration works well, and there are other community integrations that I am looking at for additional functionality. In my home I have 5 or six pairs like this and everything is working well. The Lutron to ST hub to hub communication does not show any lag in communication either. So in order to enable the official cloud to cloud integration, you need the smartthings hub and the Lutron Caseta “SmartBridge” device. One bridge can support about 40 Caseta devices. You might also want to put in some research time before the weekend. 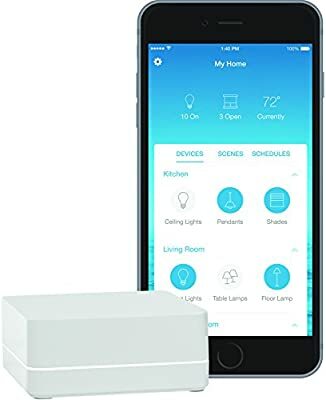 I recently moved into a new (well, new to me) house and have been upgrading all the switches to smart-switches. One issue I ran across is that not all of the switches actually have a neutral line, so I had to use a different type of dimmer or switch there. I have two 3-way setups, the first one I did no problem, took me about 45 minutes including discovering which switch had the line input. I went to do the second one this weekend, and after about 2 hours and lots of research (and even more stair climbing) discovered that this one is wired in a way I can’t currently upgrade. The wiring goes to the light first, then to the switches. I wish I had looked into it before hand, could have saved myself a beautiful Saturday. What did you do about the 3way switches without a neutral? I already have a hue hub and a bond and do not want to add another bridge. I bought Leviton switches before finding out about the neutral. Not best practice, but it is possible to use the ground if available as a neutral. no no no no, do not do that. then you are putting current on the bare ground wire, and onto anything else that is connected to that wire before it hits the panel. Also in many jurisdictions the grounds and neutrals are bonded separately in the main panel. with the neutral tying back to the poco transformer and the ground tied to your ground rod(s). This isn’t new but I didn’t see it mentioned in this post…there are some newer switches that do not require a “smart slave”. The brand Zooz makes several models of switches and dimmers for this. There may be other brands, too. This allows for the installation of a single switch in a 3 and 4-way configurations. Yes, good point, and The zooz switches are new. There are also some models of the Lutron Caseta master switches which can be used with an existing dumb auxiliary switch. I might be wrong, but I believe in both cases you can’t get dimming from the auxiliary, only on/off. Alternatively with Lutron you can use Their 10 year battery pico devices as an auxiliary with their master switch and then the wiring at the auxiliary position doesn’t matter. The Zooz switches can definitely only be wired with regular on/off mechanical switches on the other side. So if using a Zooz dimmer, you’ll get manual dimming on one side and just on/off on the other side (on to last brightness level by default but the behavior is now customizable). You could also use 2 smart switches in the 3-way locations and not wire them as a 3-way but give one of them full electrical control of the light and just power the other one up to mirror the behavior of the master via Z-Wave. This may be a better solution for some (though more expensive).